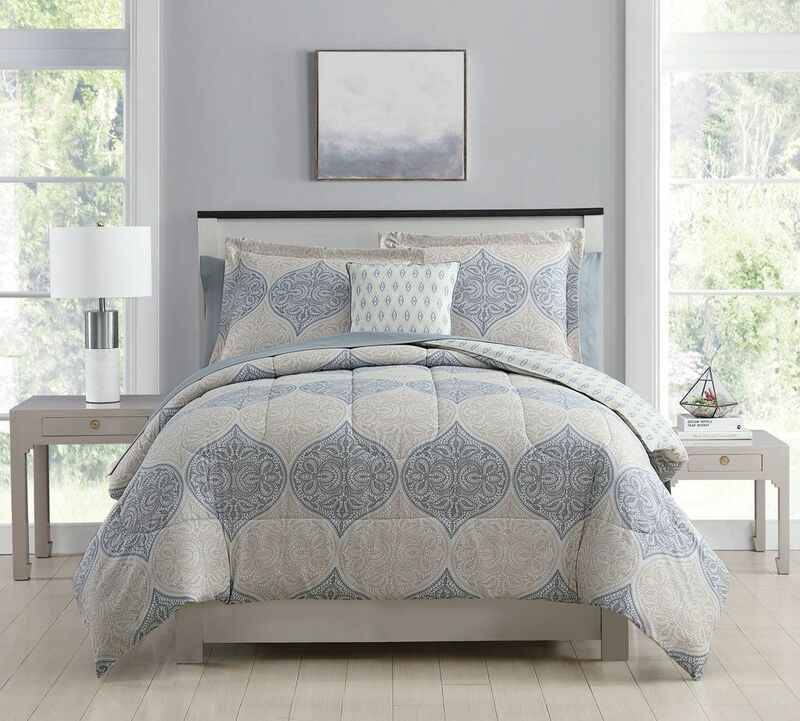 Brings calm and peach to your bedroom with this Fillmore comforter set. Decked out in floral medallion pattern in tones of taupe and gray, this comforter set adds a simply elegance to your decor. Matching sheet set included.